Kate Croser’s first feature film as producer, the Australian-Iranian collaboration My Tehran For Sale, was shot entirely on location in Tehran in 2008. The film screened at prestigious festivals internationally (Official Selection: Toronto, Vancouver, Pusan & Rotterdam International Film Festivals) and earned Kate and her fellow producers the 2009 IF Independent Spirit Award. 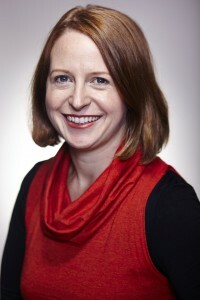 In 2010 Kate was awarded Screen Australia’s inaugural producer internship at Film4, spending six months embedded in the Film4 development department in London. In that year she also produced The Palace, an international short film collaboration between Australia and Cyprus with AFI Award winning director Anthony Maras which has taken the top prize at every competitive film festival it has screened at so far and won the award for Best Short Film at the 2012 AACTA (Australian Academy) Awards. In 2011 Kate completed production on her first television series Danger 5, an action-adventure comedy TV series for SBS with Dario Russo, which broadcast in 2012 and was nominated for Best TV Comedy at the 2013 AACTA Awards and numerous awards at the 2013 Logies. In 2012 Kate co-produced the comedy horror feature film 100 Bloody Acres with Julie Ryan, which premiered at the 2012 Melbourne International Film Festival and will be released in Australia and New Zealand mid-2013. In May of 2012, Kate founded Hedone with Sandy Cameron and they are currently producing the time travel comedy romance feature film The Infinite Man.